A recurring theme of the series since The Invisible Fortress is that Thorgal has lost his memory, making him susceptible to manipulation. It’s bothered him and he has tried to rediscover his past, something the person manipulating him has worked hard to prevent. Their reasons have been a recurring theme over the last four volumes (known as the Shaigan Cycle) with catastrophic effects for Thorgal’s family. Suffice it to say that his current life and title brings him into contact with an old friend who recognises him, threatening all his manipulator’s well laid plans. To reclaim his memory and destiny, Thorgal must rely on the kindness of capricious gods and travel to the mystical land of the Giants. Scripter Jean Van Hamme returns to the Scandinavian mythology that inspired much of Thorgal, Giants replanting the series firmly into the fantasy category. 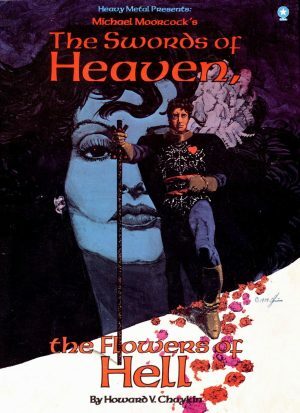 Van Hamme’s stories are generally better when he’s flirting with classic sword and sorcery tropes rather than fully immersing his characters in them, but this is the exception to that rule. There are strong portrayals of jealousy, greed, anger and hope highlighted by Grzegorz Rosiński’s art. He employs two distinct styles, both achingly beautiful in different ways. For the first part the focus is realism, brooding and dangerous. As Rosiński has aged he has focused less on rendering minutiae in landscape settings, but has become a master at fostering ambience: a looming fortress over a harbour, a corsair ship on the waves, an angry stride across the floor, a slap to a face, the opulence of a treasure room. There’s a chase over rooftops in a storm, flashes of lightning illuminating the faces of the chaser and the chased, and while he has begun to favour simpler backgrounds while keeping the characters detailed (more evident in later stories), Rosiński can still effortlessly craft luscious environs. 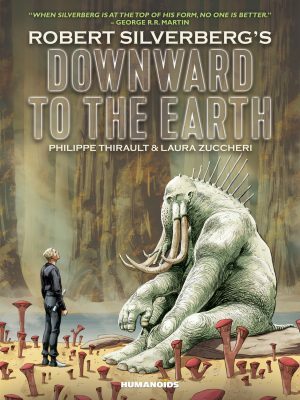 The second half is more fantastical, set in a different realm so Rosiński lets his imagination run free. There’s elegance to goddesses as they admonish Thorgal and charge him with a task, but it’s the land of the Giants itself that stands out. No two giants are alike, each different in all different shapes and sizes. 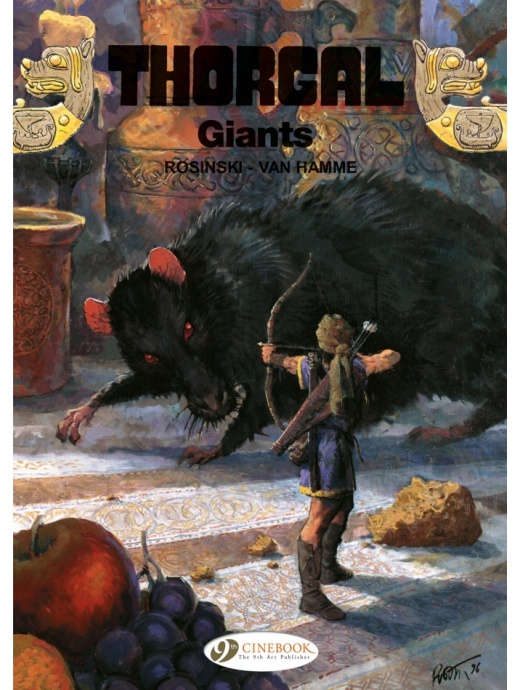 The setting is so well rendered you could for a moment believe that giant flagons and rats the size of ponies were possible. There are also wonderfully inventive monsters that disarm you with their innocent appearance before revealing their evil intentions. It’s vivid, imaginative and- surprisingly for Thorgal- a lot of fun to see the giant’s interaction. Van Hamme’s plot throughout is neat, resolving plot points from earlier volumes. 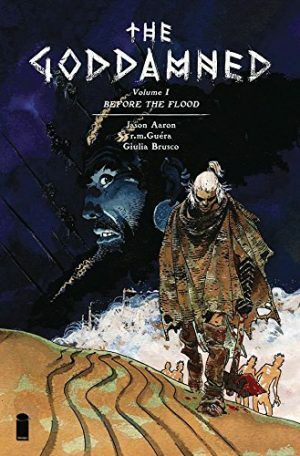 The blend of historical and fantastical works well, and it makes for a top notch story. 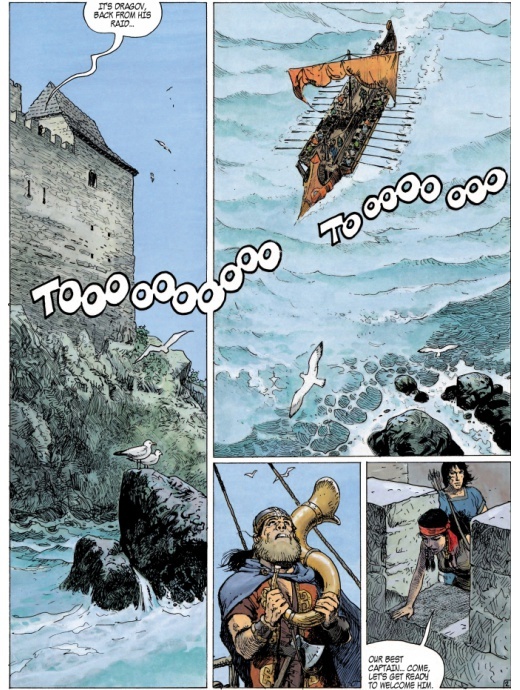 Giants is a pleasantly enchanting fable that reads well and looks fabulous, Rosiński’s art reason enough to acquire it. Thorgal finds himself trying to mend fences in the next volume, The Cage.